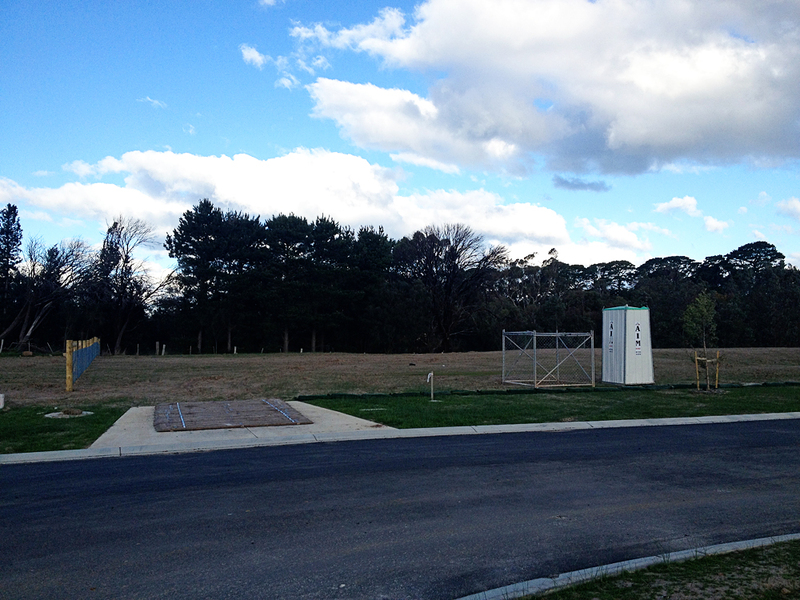 M & S are Building: We have a porta loo! We have a porta loo! Wow - the things that excite us!!! Thought I'd drive past and see if anyone else has anything happening on their blocks in the estate. I was surprised to see a porta loo, rubbish cage and crossover protector thingie on our land. That was quick since we only heard yesterday afternoon about our site cut date. None of the other blocks have anything happening yet, so it seems like we'll be one of the first to start building.